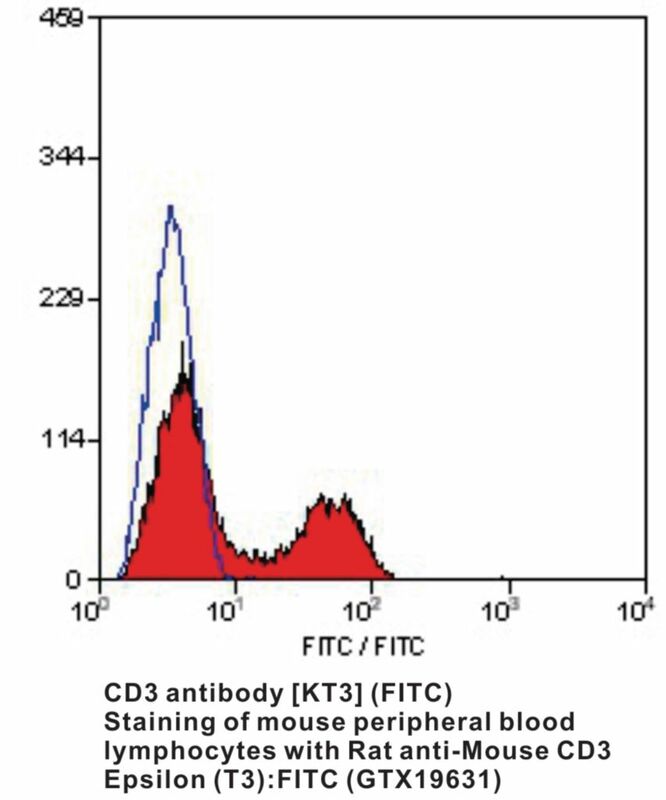 T cell activation through the antigen receptor (TCR) involves the cytoplasmic tails of the CD3 subunits CD3 gamma, CD3 delta, CD3 epsilon and CD3 zeta. These CD3 subunits are structurally related members of the immunoglobulins super family encoded by closely linked genes on human chromosome 11. The CD3 components have long cytoplasmic tails that associate with cytoplasmic signal transduction molecules. This association is mediated at least in part by a double tyrosine-based motif present in a single copy in the CD3 subunits. CD3 may play a role in TCR-induced growth arrest, cell survival and proliferation. 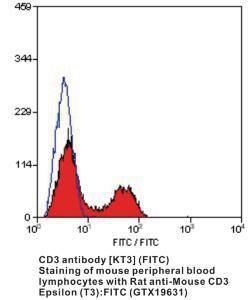 The CD3 antigen is present on 68-82% of normal peripheral blood lymphocytes, 65-85% of thymocytes and Purkinje cells in the cerebellum. It is never expressed on B or NK cells. Decreased percentages of T lymphocytes may be observed in some autoimmune diseases.